Since we started Rainforest: Live in 2014, conservation organisations have joined us from Asia, Africa and South America, taking it around the world. 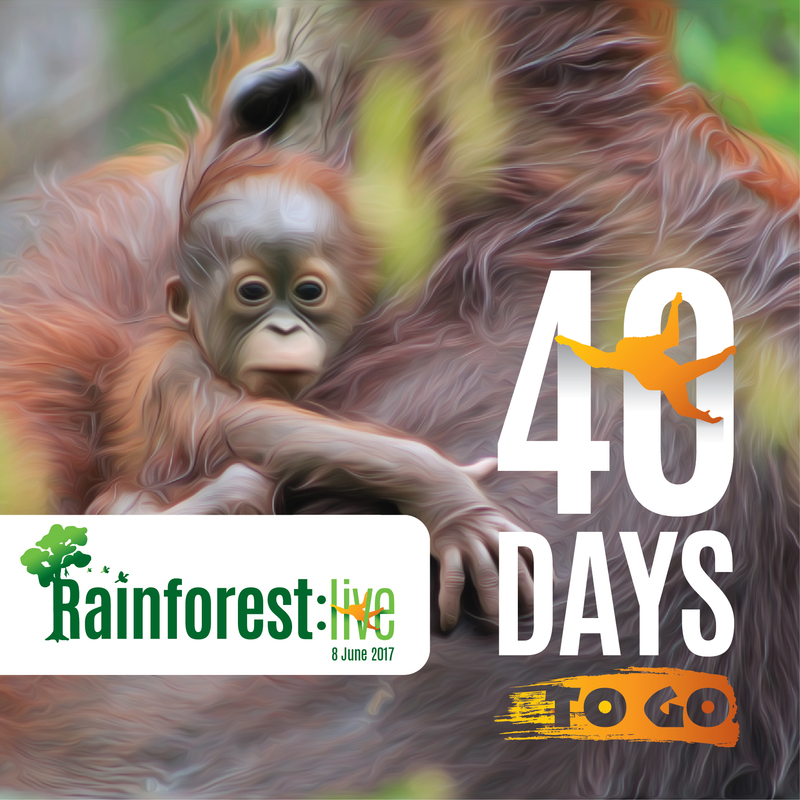 This year, there were 24 organisations that joined Rainforest: Live. The hashtag #rainforestlive reached over 2.5 million people. Rainforests are incredibly rich in biodiversity. From the charismatic orangutan, to spectacular birds, to leopards and jungle tigers and elephants. But, there are also thousands of species found in rainforests that don’t make the headlines. Many people may not even know that they exist. From fishes, to birds, to frogs, to butterflies to plants; all equally important in supporting a thriving eco-system. 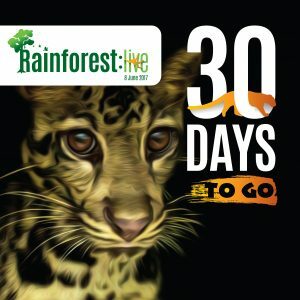 Rainforest: Live will take advantage of the power of social media to take the beauty of the rainforest to people in all corners of the globe. It is a day of social media activity bringing people live wildlife sightings from rainforests across the world. 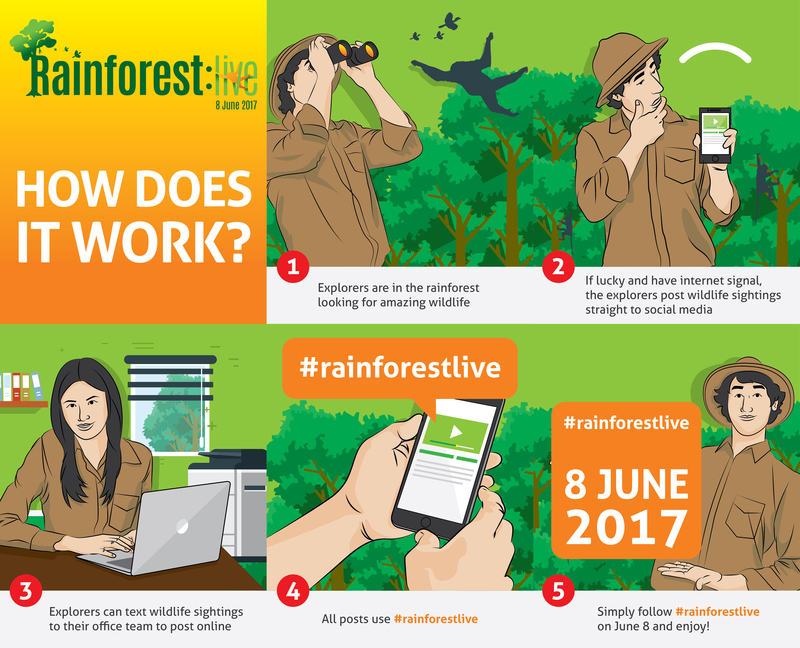 Participants will post live wildlife sightings, from the rainforest where they work, on Facebook, Twitter, YouTube, Flickr, Instagram and any other social media platforms using #rainforestlive in all posts. 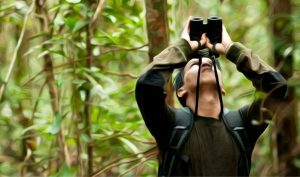 This event is designed to give people a glimpse into what it’s like to explore a rainforest in real-time. 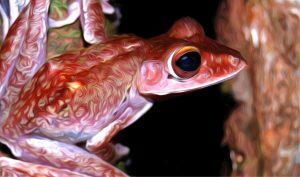 It’s hoped that Rainforest: Live will be a reminder of all the treasures found in these diverse and unique habitats, and the reasons they’re worth fighting for. 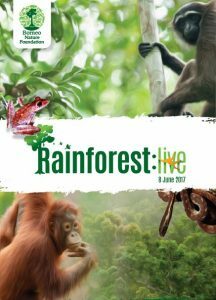 To get a feel for what Rainforest: Live is about then check out last year’s action on our Storify page. 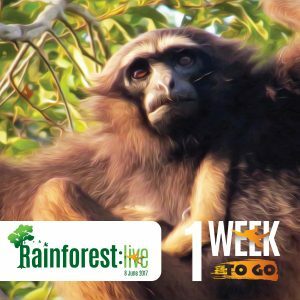 If you’re from a conservation organisation and would like to participate in Rainforest: Live, please email info@borneonature.org and sign up. We will then send you everything you need for the event, including Rainforest: Live logos and some cool graphics. Don’t forget to send your logo to us to upload to our website and use in our promotional materials. 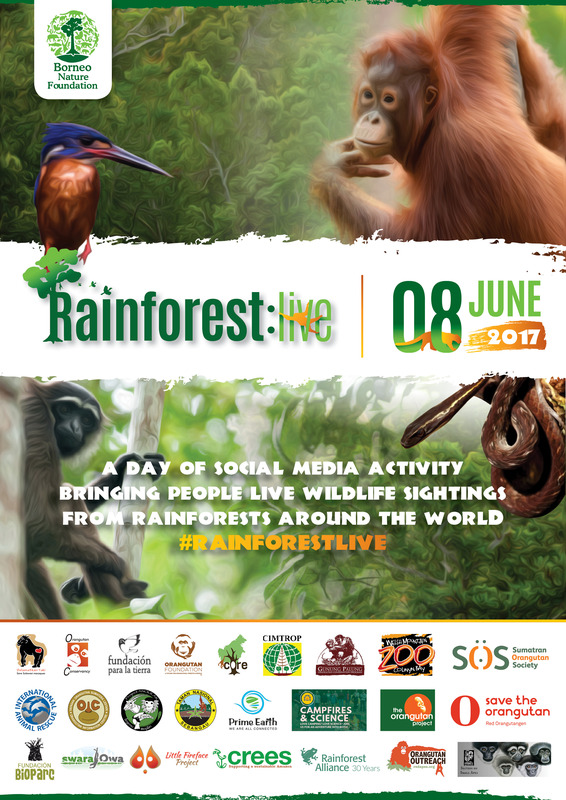 If you want to follow the event, simply like the social media pages of the participating organisations, look out/search for #rainforestlive and enjoy! Don’t forget to share our posts and tell your friends about Rainforest: Live. 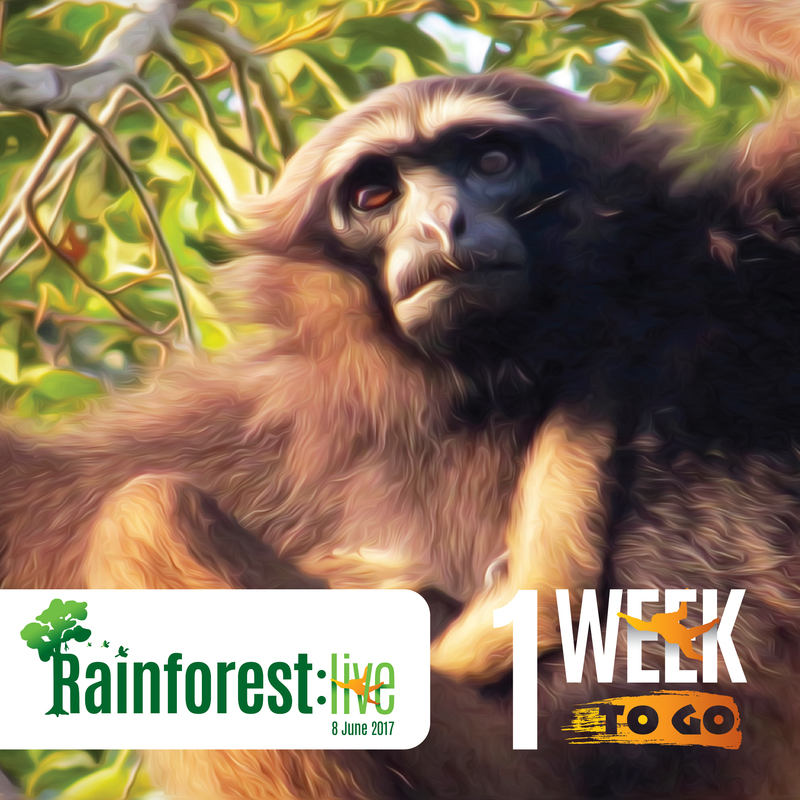 Help us share the beauty of the rainforests! I would love to know more, what do I do? If you have any questions, then please email us at info@borneonature.org. You can also follow Borneo Nature Foundation on Facebook, Instagram and Twitter to get all the latest updates about Rainforest: Live. 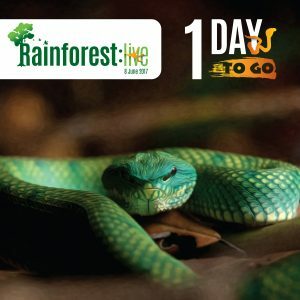 Organisations who joined Rainforest: Live 2017!